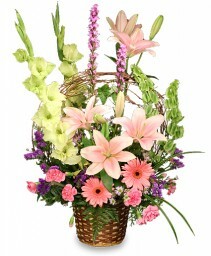 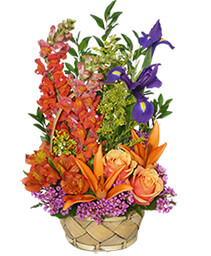 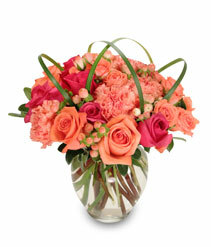 Show kindness and affection with this inspired arrangement from DEER PARK FLORIST. This timeless and touching tribute would make a lovely addition of freshness and color that is sure to be enjoyed and much appreciated. Arrangement includes: hot pink and peach roses, peach carnations and hypericum, accented with looping lily grass for unique visual interest. 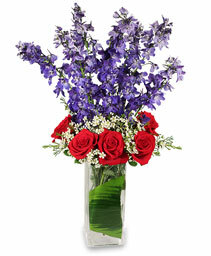 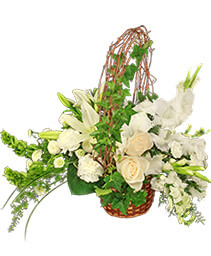 Show your sympathy in Deer Park with the traditional gift of flowers. 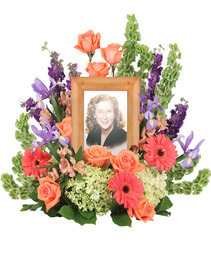 DEER PARK FLORIST specializes in all types of funeral flowers and can create something perfect to match your specific needs. Sympathy arrangements are the ideal choice for expressing your feelings to the family of a lost loved one. 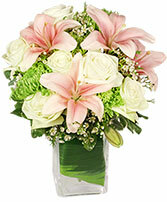 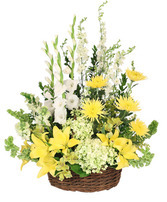 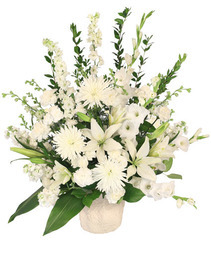 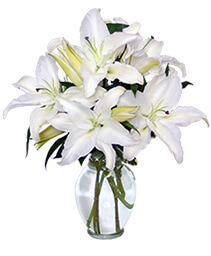 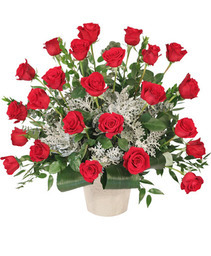 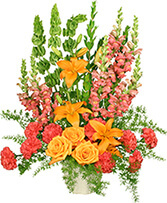 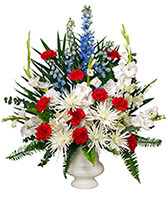 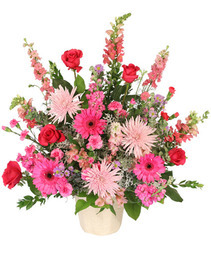 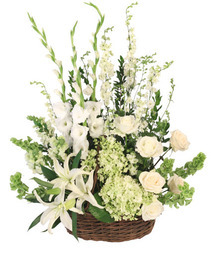 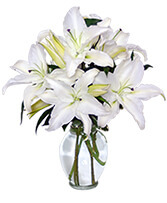 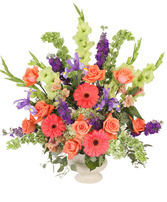 So shop our selection of sympathy flowers online or give us a call at (800) 676-0374 if you need more assistance.